Shop the complete range of Weddingstar products through weddingstar.com (USA). Your orders would be processed through our North American facility resulting in shorter processing times and reduced shipping costs. 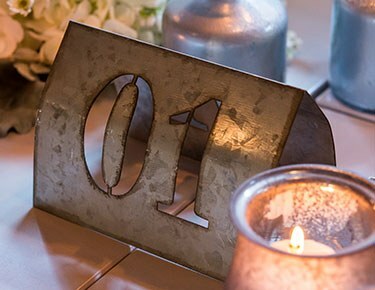 Wedding table numbers from Weddingstar aren't just to help your guests find where to sit, they're also made to add a big pop of personality and style to your table settings. 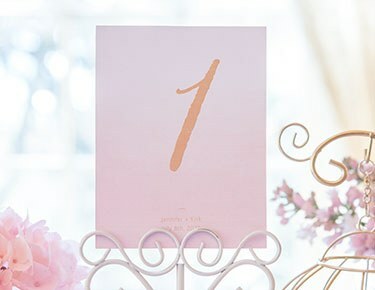 You can use these table numbers to tie together your extra-special wedding theme, whether you're looking for metallic picture frames for wedding table numbers or want to kick things up a notch with custom table numbers that double as a post-wedding scrapbook keepsake, you'll find a table number to suit your style here at Weddingstar. 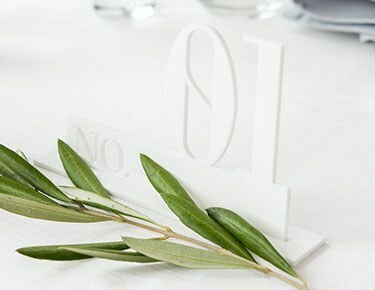 Explore affordable and traditional styles as well as unique, unconventional options in an endless assortment of styles.Traditional brides and grooms will appreciate our selection of double-sided table numbers made of heavyweight paper with crisp printing on both sides. These are one of our most affordable wedding table number options and come in a vast assortment of high-style themes - including floral, rustic, modern, coastal, wanderlust, vintage, fairytale and woodland - and various sizes to meet your particular needs. 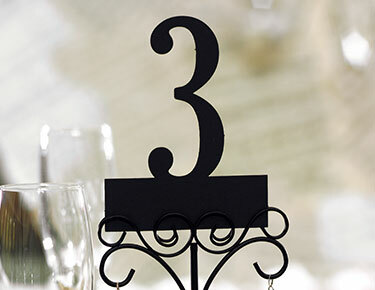 We also offer personalized double-sided paper wedding numbers that add a fun and original flair to your table decor. For a multidimensional take on the classic table number, explore our variety of laser-cut paper and acrylic table numbers.In search of shabby-chic picture frames for table numbers? 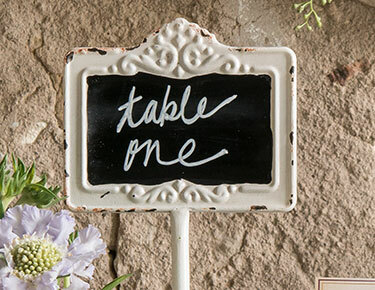 Wedding planners will gush over our assortment of chalkboard table numbers and vintage frame styles that work beautifully in any country, vintage, garden party or rustic setting. 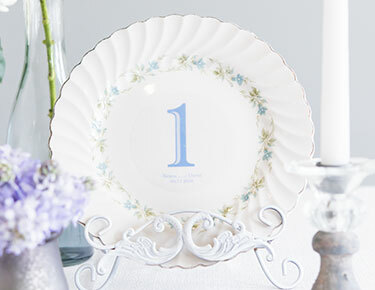 Pair them with our antique or rustic wedding table number holders to tie your theme together. 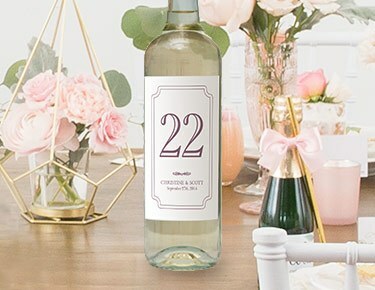 Weddingstar can also help you design one-of-a-kind wine bottle table numbers for a drinkable display that will make guests want to raise a glass in your honor. Last but not least, don't forget to consider our most versatile option - vinyl decals and cling table numbers - that let you transform vases, plates and more into show-stopping table numbers.